no big dill: Giveaway: $75 Pick Your Plum Box! Giveaway: $75 Pick Your Plum Box! So, I've got a few things today. First of all, I enjoyed all the comments from yesterday's post. And I love to hear that it takes a whole crew and studio for those magazine shots we see in the check-out line. Secondly, I have a super giveaway today! Have you heard of Pick Your Plum? It's a flash sale site that offers a variety of products each day (and for only one day!) at a deep discount. I don't know about you, but I love flash sales. Like a virtual race when the store opens for a huge sale. Except I don't have to lug kids or get dressed. Plus their logo is orange. You never know what's going to be up for sale, from stamps to clothing to craft supplies, but look at a few of the goodies that came my way. 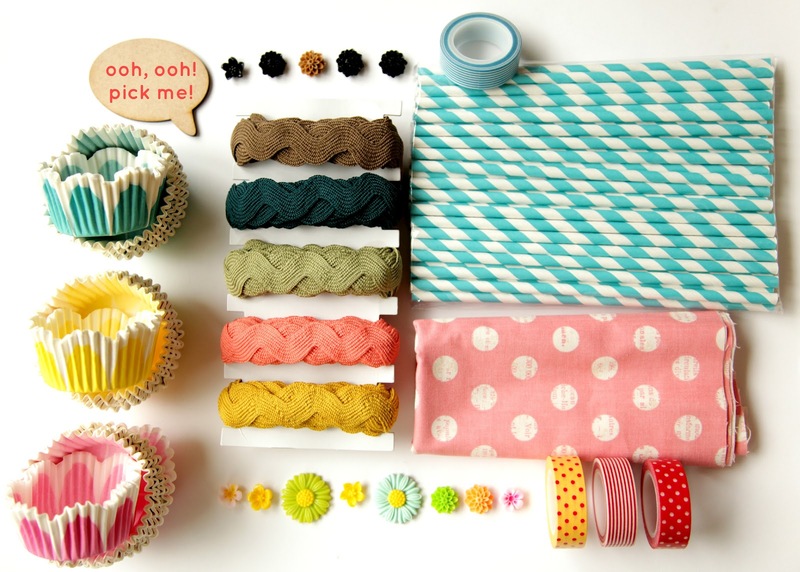 I think we're set for the next round of birthdays celebrations, from wrapping with washi tape, cupcakes in the cute liners, straws for birthday beverage, and perhaps a few hair adornments. So, I'd say that a box from Pick Your Plum is a mighty fine pick-me-up for even the pickiest. Want to enter for your chance to win a box valued at $75? Go here. and a $500 SpaFinder Giftcard go here. 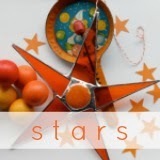 Just signed up - lots of cute stuff there. 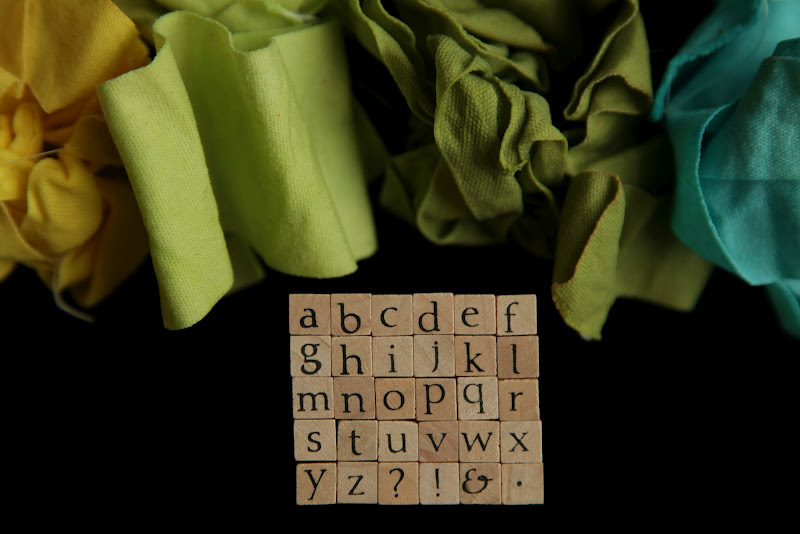 Plus, I checked out your folks' Etsy store because everyone can use more cotton tape and I love how they say you can find uses for the tape at their daughter's "cute blog." It's so sweet! Oh those cupcake cases are just the best! So pretty and chic. Could you pretty please share the brand name? Exciting cupcake cases are so hard to find here in the UK, unless you trek to a specialist store in a big city. pencilsandwhatnot--all they say on the package is "Pick Your Plum". I guess just keep your on the sales for them to cycle through and grab 'em! 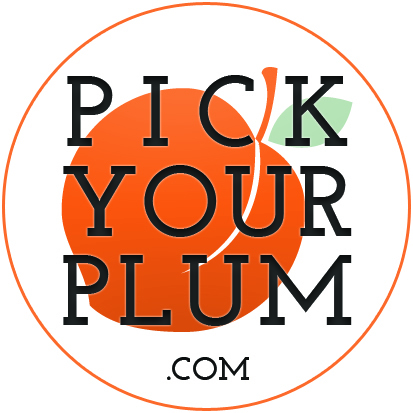 I <3 pick your plum! never heard of it. going to go sign up. what charming goodies. and i looooove your use of the cotton tape. your parents needed that!